UK based industrial air filtration and extraction specialist Filtermist International is delighted to announce that it has successfully completed the acquisition of the Yorkshire based DCS Group of Companies. The DCS Group, which has a site in Dewsbury and one in Wetherby, collectively acts as a designer, supplier, installer and commissioner of fume and dust extraction systems. At £6.6m, this is the largest acquisition to date for Filtermist which is based in Telford, Shropshire and part of the Swedish Absolent Group. Previous acquisitions include customised air movement and air pollution control systems specialist Multi-Fan Systems in 2016 and dust filtration systems manufacturer Dustcheck Ltd in 2017. Founded over 30 years ago, the DCS Group now consists of a number of specialist enterprises including DCS Limited & Cades Limited. Both brands enjoy established reputations for providing quality dust extraction systems for customers in a number of industries, including pharmaceutical and woodworking – two key markets identified by Absolent Group as offering substantial potential for global growth. “This latest deal is designed to significantly enhance Absolent Group’s presence in the dust and fume extraction market,” comments Filtermist International CEO, James Stansfield. “We have extremely ambitious targets over the next five years and increasing our presence in all of our market sectors is a key strategic objective. We will be combining the strengths of all Filtermist International companies to offer all of our customers a complete solution for air extraction and filtration. “From initial recommendations and project management services, to equipment manufacture and supply, installation, commissioning and after-sales support – we offer a full turn-key service for customers that need to ensure the air is free from a wide range of contaminants. 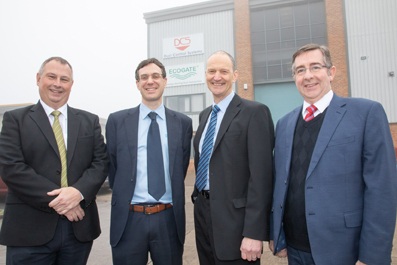 The DCS business assets also include Ecogate Limited and Gallito Limited which between them manufacture a range of industry-associated products including FastClip ducting and microprocessor-controlled extraction optimisation systems designed to improve extraction efficiency. DCS’s service offering is currently limited to the UK, however, bringing these products into the Absolent Group provides an opportunity to expand the brands’ presence to overseas markets, utilising the global experience of Absolent Group’s worldwide distributor and subsidiary network whilst creating valuable synergies within the group. DCS Group had a consolidated turnover of £11.4 million during 2018. DCS will be integrated and consolidated into Absolent Group with immediate effect. Find out more about Filtermist in the UK by visiting www.filtermist.co.uk, or visit www.dcslimited.co.uk for more information on DCS Group Companies.